Our comprehensive and personalised services are directed to women who are looking for a safe place to talk about their gynecological concerns. Spanish Food and Drink. Basics. 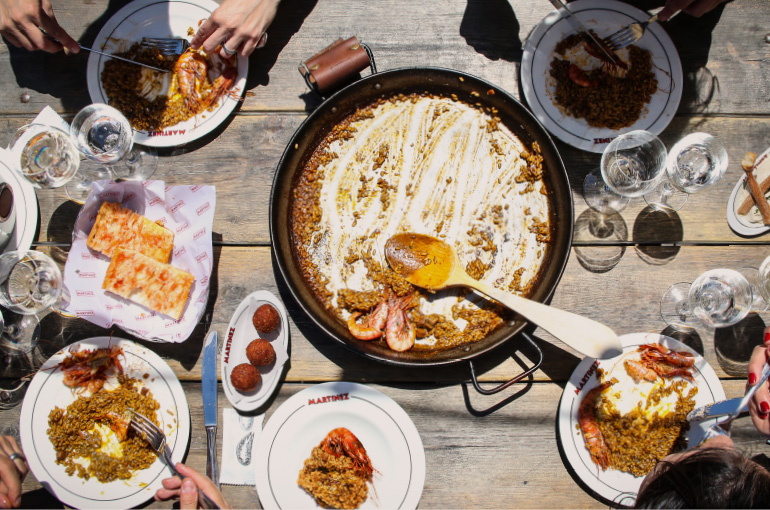 Spain's eating and drinking culture is one of its greatest attractions, and a very sociable one too, with people rubbing shoulders in tapas bars and cafés. An excellent way to understand different facets of Spanish cuisine is to sample tapas: small dishes served to share and typically placed in the middle of the table. They can range from gourmet canapés to simple plates of croquetes, cheeses and cured meats. Spanish drinks have also brewed up quite a storm worldwide – from the thirst-quenching sangria to bubbly Cava to the sophisticated Rioja wine. Paella: Originally from Valencia, this rice dish can be loaded with seafood or chicken/rabbit, saffron and vegetables. Croquetas: Fried bread-crumbed fritters with a creamy, potato base with different ingredients (ham, chicken, etc). Chipirones/Calamares: Fried Spanish-style squid, usually served with lemon. Tortilla Espaniola (Potatoe omelette): A rich, chunky potato omelette – a staple throughout Spain. Gazpacho: A chilled tomato-based, tangy vegetable soup from Andalucía. Served in the summer. Jamón (Spanish Ham): One of many cured Spanish meats, Jamón is a type of finely sliced cured ham. Pulpo a la gallega: Tender, boiled octopus seasoned with paprika and salt and drizzled in olive oil. Usually served on top of cooked potatoes. Chorizo: A dried and course pork sausage seasoned with smoked paprika. Patatas bravas: typical tapa for sharing or to have as an “aperitive”. Albondigas: Fried Spanish-style meatballs, usually smothered in tomato sauce. Sherry: A fortified wine available in several styles: Fino and Manzanilla (pale and dry), amontillado (dry, richer in body and darker in colour), Oloroso (medium, full-bodied, fragrant and golden) and sweet sherries such as Pedro Ximénez. Red wine - Rioja: Spain’s flagship red wine, made from Tempranillo and Garnacha grapes. White wine - Albariño/Rias Baixas: the one to order from the list. Cava: A sparkling wine from Catalonia made using the same method used to produce Champagne. Always order Brut Nature. Most restaurants serve a menú del día at lunchtime; this is a three-course meal including water that generally costs from €10 to €20 and can be very good value. Spanish VAT (IVA) of 10% is included in most menu prices and 2-4% is customary. 16 for wine and beer, 18 for spirits. You have decided to move to Barcelona to study from abroad. It is your fist time but some of your friends have been there before and they have given you recommedations. Deciding where to live is key to make the most out of your semester or year abroad and it´s important to inform yourself about the different areas (do you prefer to be near the beach? do you prefer to live with other students? Would you prefer to be in building with all students? The City Centre: we find the actual old quarter called Ciutat Vella. Surrounding this quarter are two very popular residential areas called Eixample Dreta (Right Eixample) and Eixample Esquerre (Left eixample). The majority of students stay in this areas. University Area: Eixample esquerre is were many universities (UAB, UB, ESADE, etc) are located. There are also two districts which are popular for students: Corts and Gracia. Well, let’s start from the beginning… Ciutat Vella (Old City) is comprised of four different neighborhoods (Barri Gotic, El Raval, Barceloneta, El Born). It is one of the most beautiful and charming areas of the city. If you have ever visited the city before, you probably felt in love with this area and you decided that this was where you wanted to live one day! This area is jammed with bars, music venues, restaurants, etc. so it might be noisy in some parts, especially in Barri Gotic, where pedestrian streets are quite narrow. If you like to be in the middle of the action you just found your area! However, when you choose your apartment just make sure that there is not a bar or restaurant terrace below. This is a very touristy area and, as a consequence, the cost of living might be more expensive, especially for grocery stores and restaurants. In terms of rent, it is an affordable area. The average rent for a two bedroom apartment goes from 500 to 700 € per month. In general the Old City has great transport connections with the rest of the city. The Gothic Quarter, Raval and El Born are connected with the University Area by the tube Lines 1 and 3. Barceloneta’s connections are not as good, only the tube Line 4 reaches there. This large area named Eixample is located beyond Plaça Catalunya and is divided in two parts, ‘Eixample Dreta’ and ‘Eixample Esquerra’ by Passeig de Gràcia. In this area the buildings are built in an easily recognizable grid shape designed by the architect Ildefons Cerdà. Eixample Dreta is one of Barcelona’s most exclusive neighborhoods. It has a great location as you can walk to Plaça Catalunya and Sagrada Familia. You are also close to Passeig the Gracia which is an exclusive shopping area and to the Gothic Quarter where you can enjoy Barcelona’s nightlife. It also has great tube connections as L1, L2, L3, L4 and L5 stop in this neighborhood. Rent in this neighborhood is generally quite high, still you can find some nice apartments with an affordable rent. Conversely, Eixample Esquerrais a student area. Eixample Esquerra and Corts neighborhood form the University Area (Zona Universitaria), where the majority of students live, since many universities are based there, for instance ‘Universidad de Barcelona’, ‘Universidad Politécnica de Cataluña’ or ESADE. Corts is also the financial neighborhood of the city, where many international companies, businesses and hotels are located. Nightlife in this area is quiet since the majority of professionals don’t live here and students tend to head towards Eixample, especially around Plaça de la Universitat. In this area there is also the Barcelona FC’s stadium Camp Nou, so if you are a Barça fan you just found your neighborhood! Transport connections are also great. The tube lines L1 and L3 can take you to ‘Ciutat Vella’ in less than 20 minutes. Gracia is the new hip upcoming neighborhood which used to be a town until 1897, when it got incorporated to the city. It still maintains its bohemian style, with large squares where bars set up their terraces, local markets and independent stores. It has the famous Parc Guell from Gaudi. Many students are moving to this neighborhood because of its trendy scene. Moreover, it has great connections to the University area by the tube line 3 and to ‘Ciutat Vella’ and Barceloneta beach by line 4. It is also possible to cycle but there is quite a stip hill. Thanksgiving is upon us once more, and with it comes enticing treats and splurges that we might otherwise pass on during the rest of the year. Will you still be giving thanks after your feast, or will you be left bloated and regretful? If you haven't already set your menu for Thanksgiving -- or even if you have -- take a moment to be mindful of your health and wellbeing. 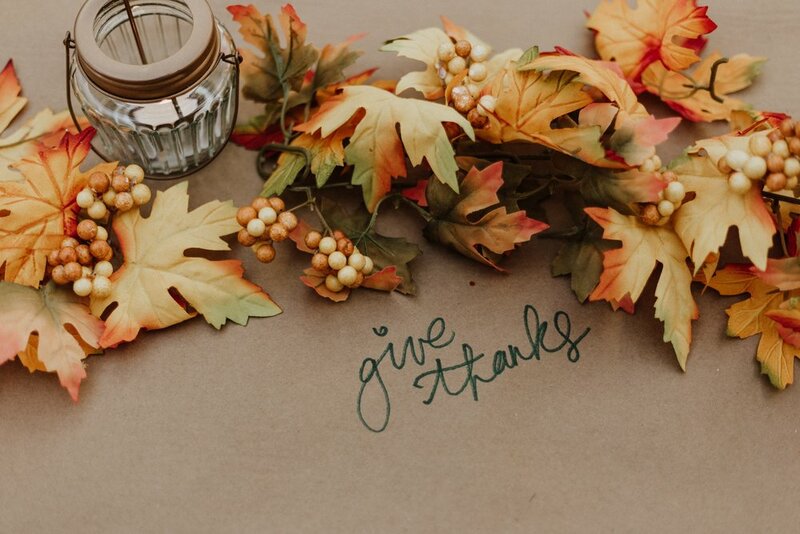 Though most of us simply buy our food these days instead of working toward and waiting for harvest, Thanksgiving is still a time to be grateful for a bountiful harvest. There is an element of honouring foods as they are found in nature, and the goodness and health they facilitate. What are we saying if we reduce it to a time of indulgence to the point of discomfort, or a spread of artificial replicas of otherwise delicious and nutritious foods? Just as a harvest is only as good as the seeds sown, a meal is only as nutritious as its ingredients! Check labels carefully -- really reading them. A study done in the US found that consumers are likely to skim labels and trust whatever "natural" or "healthy" indication is splayed across the front -- even when the ingredients don't reflect that claim. So, if you do choose to use packaged foods or ingredients for your meal, make sure they have as few ingredients as possible and are all recognizable as food. Otherwise, still with real, whole foods, make your Thanksgiving feast. Using recipes for a slow cooker or preparing them in advance can help to make a real-foods spread without taking up too much extra time or effort. A day off surrounded by food can quickly turn into a day of nothing but food. Watch your portions when you eat, but also before and after the meal. Unless you are already fasting intermittently, skipping meals could actually trick your brain into justifying more indulgence. Instead, eat normal portions throughout the day and then enjoy your Thanksgiving meal as a time of special dishes rather than a time of supersized indulgence. Nothing keeps you from exercising on or around Thanksgiving or any other holiday. If you've got time off of work, don't divide the time between eating and lazing on the couch. It's a gorgeous time of year -- get outside and get moving! Walking is always beneficial, but if you only have a short amount of time, try high intensity interval training. A 2013 study demonstrated meal-processing benefits of HIIT workouts extending for 48 hours after the workout. 4. Go sprouted (or gluten free!). Grandma's rolls are the best, and we wouldn't dare presume to do better -- but maybe it's time to nudge the recipe in a different direction. Use sprouted wheat, cultured sourdough, or gluten free recipes to make the nutrients more available and the bread easier for your body to process. Minimizing standard wheat carbohydrates and instead getting them from varied vegetables and grains changes the health factor of your meal significantly! Don't stress! It's okay if the main course isn't quite right or you don't have the exact ingredients or a side dish flops. Even when meal choices are good, stress can negate any benefits of the food. So breathe easy! The point of Thanksgiving is to reflect on the year's work with your loved ones surrounding you. Taking it all in with a deep breath and a smile is one of the best ways to stay healthy this Thanksgiving -- no matter how rich the pie may be. The first is intrinsic skin aging, which represents chronological aging and affects skin in the same pattern it affects all internal organs. The second is extrinsic skin aging, which we view as aged skin and is the result of external factors and environmental influence, mainly chronic sun exposure and ultraviolet (UV) irradiation but also smoking, pollution, sleep deprivation and poor nutrition. Prevention is the best and most effective way to work against extrinsic skin aging effects. The best prevention strategy against the harmful action of free radicals is a well regulated lifestyle (caloric restriction, body care and physical exercise for body), with low stress conditions and a balanced nutritional diet, including anti-oxidative rich food. Frequently researched antioxidants such as carotenoids, tocophenols and flavonoids, as well as vitamins (A, C, D and E), essential omega-3-fatty acids, some proteins and lactobacilli have been referred as agents capable of promoting skin health and beauty. Let´s take a look at them one by one. Vitamin C, also named L-ascorbic acid, is the most important antioxidant. Vitamin C is not naturally synthesized by the human body and therefore adequate dietary intake of vitamin C is required and essential for a healthy human diet. The richest natural sources are fresh fruits and vegetables such as citrus fruits, blackcurrant, rose hip, guava, chili pepper or parsley. Stability of the vitamin C molecule depends on aggregate condition and formulation. Higher amounts of tocopherol are available in vegetables, vegetable oils like wheat germ oil, sunflower oil, safflower oil and seeds, corn, soy and some sorts of meat. The intake of natural vitamin E products helps against collagen cross linking and lipid peroxidation, which are both linked to aging of the skin. Carotenoids are vitamin A derivates like β-carotene, astaxanthin, lycopene and retinol, which are all highly effective antioxidants and have been documented to possess photoprotective properties. Carrots, pumpkin, sweet potatoes, mangos and papaya are some examples of β-carotene containing fruits and vegetables. Upon dietary supplementation, β-carotene can be further enriched in skin, in which it is already a major carotenoid. Lycopene is a bright red carotene and carotenoid pigment and phytochemical found in tomatoes and other red fruits and vegetables, such as red carrots, watermelons and papayas (but not strawberries or cherries). Although lycopene is chemically a carotene, it has no vitamin A activity. β-carotene and lycopene are usually the dominating carotenoids in human blood and tissues and are known to modulate skin properties when ingested as supplements or as dietary products. Retinol is important for the human body; however the body itself cannot synthesize it. Retinol must derive from diet. Natural retinol and retinol ester are contained in liver, milk, egg yolk, cheese and fatty fish etc. Naturally occurring and synthetic vitamin A (retinol) show similar biological activities. Different retinol products, both for cosmetic (topical) and pharmaceutical (topical, systemic) use can be found on the market. In humans vitamin D serves two functions, it acts as a prohormone and the human body can synthesize it itself through sun exposure. Skin is the major site for UV-B mediated vitamin D3, and 1,25-dihydroxy vitamin D3 synthesis. Smaller amounts of vitamin D2 and D3 come from the dietary intake of animal-based foods such as fatty fish or egg yolk. Some products like milk, cereals and margarine can be enriched with vitamin D.
Chang et al. also suggest an association between skin aging and levels of 25(OH)D3, another precursor of vitamin D. It may be possible that low 25(OH)D3 levels in women, who show less skin aging may reflect underlying genetic differences in vitamin D synthesis. Many other studies that tested oral vitamin D treatment showed skin cancer prevention, which is linked to anti-aging effects. Polyphenols have drawn the attention of the anti-aging research community over the last decade, mainly because of their antioxidant properties, their great intake amount in our diet and the increasing studies showing their probable role in the prevention of various diseases associated with oxidative stress, such as cancer and cardiovascular and neurodegenerative diseases. They are mostly found in fruits and plant-derived beverages such as fruit juices, tea, coffee, and red wine. Vegetables, cereals, chocolate and dry legumes are also sources for the total polyphenol intake. Curcumin is the principal curcuminoid of the popular Indian spice turmeric, which is a member of the ginger family (Zingiberaceae) and is frequently found in rice dishes to add yellow color to the otherwise white rice. Curcumin has been shown to protect against the deleterious effects of injury by attenuating oxidative stress and suppressing inflammation. Green tea polyphenols have been postulated to protect human skin from the cutaneous signs of photoageing. Studies have shown that green tea extract also possesses anti-inflammatory activity. These anti-inflammatory and anti-carcinogenic properties of green tea are due to their polyphenolic constituents present therein. Coenzyme Q10 (CoQ10) is a fat-soluble, endogenous (synthesized by the body), vitamin-like substance that is mainly stored in the fat tissues of our body. Primary dietary sources of CoQ10 include oily fish (such as salmon and tuna), organ meats (such as liver), and whole grains. The amount of CoQ10 needed in human organism can be gained through a balanced diet, however in the market CoQ10 is available in several forms as a supplement, including soft gel capsules, oral spray, hard shell capsules, and tablets. As a fat-soluble substance it is better absorbed when taken with fat rich meals. CoQ10 is also added to various cosmetics. The term probiotic is defined as “living microorganisms, which, when consumed in adequate amounts, confer a health effect on the host.”The most commonly used probiotics in humans and animals are enterococci, lactobacilli and bifidobacteria, which are natural residents of the intestinal tract. A prebiotic is a non-viable food component that confers a health benefit on the host associated with modulation of the microbiota. Currently, finding alternatives to antibiotics for skin treatment is receiving a lot of interest in research. It has been found that, similarly to the gut microflora, the skin’s microbiota plays a beneficial role. Thus, the possibility to modulate the microbiota more selectively is highly interesting. 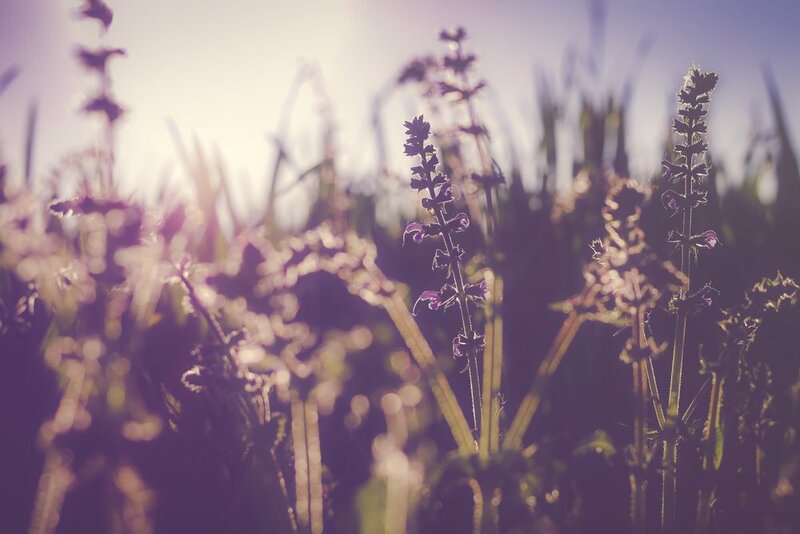 Clinical studies that used probiotic bacteria (Lactobacillus johnsonii NCC 533) to modulate the cutaneous immune homeostasis altered by solar-simulated UV exposure in humans suggest that certain probiotics can help preserve the skin homeostasis by modulating the skin immune system. Essential fatty acids cannot be produced in the human body and they have to be consumed through our daily dietary intake. They are present in multiple food sources such as fish and shellfish, flaxseed, hemp oil, soya oil, canola oil, chia seeds, pumpkin seeds, sunflower seeds, leafy vegetables, walnuts, sesame seeds, avocados, salmon and albacore tuna. The association between nutrient intakes and skin aging has been examined: skin-aging appearance was defined as having a wrinkled appearance, senile dryness, and skin atrophy. Higher linoleic acid intakes were associated with a lower likelihood of senile dryness and skin atrophy. For more information, a planned diet for your skin or if you are suffering from skin problems (such as acne, psoriasis, dermatitis, etc), please contact our doctor here. FLU SEASON IS HERE. GET YOUR FLU SHOT. It’s the start of fall which means ….. flu season is here. Last year, flu hospitalizations were the highest they’ve ever been; 106 out of every 100,000 people were hospitalized for the flu in the 2017-18 season, with people over age 65 accounting for 58 percent of those hospitalizations and 180 pediatric deaths. Flu and the common cold can both make you feel crummy, but they are caused by different viruses. Colds are usually milder and do not result in serious health problems associated with the flu, like pneumonia or hospitalizations. Right now, being prepared is the best thing you can do before the season hits. Here’s what you need to know. Flu season may start as early as October in North America, but generally, it begins sometime in the fall and ends in March. The flu virus, however, can be detected at any point throughout the year, which is important to know if you ever have symptoms, even in the summer. Experts can’t really predict the severity of each flu season, as different strains of the virus can have different impacts on timing and length of the season. Should I get the flu shot? When? You can get vaccinated at any time as fall approaches, but October is probably the best time to get it done. The CDC recommends that everyone get vaccinated by the end of October, which gives your body the roughly two-week period it needs to develop an immune response to the vaccine prior to the start of peak flu season. If you miss this deadline, however, the vaccine can still offer some benefit. So it's important to get it as long as people are still getting sick. It is highly recommended that all pregnant women get the flu shot. The body changes during pregnancy — heart rate and oxygen consumption increase while lung capacity decreases. That means if a mother-to-be gets the flu, they are more susceptible to life-threatening complications than the general population. So all women who are or expect to be pregnant should get the flu vaccine. I heard the flu shot makes you sick. Is that true? No. The flu vaccine contains an inactivated virus, which means that the virus contained in the vaccine can’t actually infect you. It does take one to two weeks for your immune system to protect you from the flu. So, if someone becomes sick after their shot, it is most likely because their body wasn’t protected from the flu yet, not from the vaccine itself. Similarly, there are sometimes mismatches between the virus strain someone gets sick with and the strains used to make the vaccine. In these cases, the vaccine might be imperfect at fighting all strains of the flu that might exist, but it's still the best defense we have. Flu symptoms often come suddenly, and can vary significantly depending on the person. These include fever, cough, sore throat, nasal congestion, body aches, headaches, and fatigue. While the flu may seem similar to a common cold, colds are usually slower to develop, and less likely to result in fevers. Some patients with severe infections may have symptoms — like difficulty breathing and confusion — that are cause for concern and might require immediate medical attention to treat them. Medical attention should also be sought for children with the flu who develop bluish skin, aren't waking up or aren't eating. In all cases, if the person's symptoms suddenly worsen after appearing to initially improve, a visit to a clinician is warranted. I think I have the flu. What do I do next? In most cases, if symptoms are mild, staying home and leaving only to get medical care is the best course of action. If you must leave the house, wear a face mask, wash your hands, and cover coughs and sneezes with your elbow. People with severe symptoms, as well as people at high risk from the flu (young children, people 65 and older and pregnant women), should contact their doctors if they develop symptoms. In some cases, people may get antiviral medications, which can lessen symptoms, shorten the time of illness and reduce complications. How is the shot made? Manufacturers have many methods of producing flu vaccines. The most common method is the egg-based vaccine, where strains of the virus are injected into eggs and incubated for several days. They are then weakened or killed and afterward purified to be used in a shot or nasal spray. The next method is through cell-based technology. In these vaccines, the eggs used to incubate the virus are replaced with animal cells. This method is faster in producing vaccines than the older egg-based method. Another method uses recombinant technology. In these cases, a certain gene is taken from the flu virus, to be inserted into a different non-flu virus which grows in insect cells. This genetically altered non-flu virus then replicates in insect cells. After the virus has been replicated, manufacturers purify the protein produced from the flu gene, which is used in the vaccine. The advantage of this method is that it doesn't use eggs, so people with severe egg allergies can be vaccinated. What are the side effects of the flu shot? Most side effects are mild and resolve quickly on their own. Soreness in the area of the shot is pretty common. In addition, people may have headaches, fevers and nausea. Seek immediate symptoms if someone is showing signs of a severe allergic reaction, such as difficulty breathing, hoarseness or eye and lip swelling. Where should I get the flu shot? Get your 2018/2019 flu shot / vaccination here. Preventing its spread requires good hygiene and high vaccination rates. If you are experiencing any symptoms, avoid contact with other people. If symptoms are starting to get severe, contact our doctor. Working together will be critical in halting flu season. Keep hydrated — It is especially important during the summer holidays to keep hydrated (2 L of water a day) and to maintain a healthy diet, including vegetables, fruits, proteins and carbohydrates. Rest - Trips can be quite hectic, especially for those visiting more than one country. It is important to try and rest (7-8 hours night sleep) and to try and nap (30 min) throughout the day. Fever. Chesty Cough. Night cough. Green Phlegm. White spots on your tonsils. Conjunctivitis. Earache. Persistent headache, especially on your sinuses. Rash. Traveler's diarrhea — Contaminated food or water, viruses, anxiety and jet lag can contribute to traveler's diarrhea. It often strikes abruptly and causes four to five loose or watery bowel movements each day. In most cases, traveler's diarrhea will go away in a day or two without medical treatment. Most doctors don't recommend preventive medications such as antibiotics or anti-diarrheals (Pepto-Bismol/Fortasec), except in special circumstances. The best prevention is good hand hygiene and food and water safety. International travelers should drink only bottled beverages . For food, the general rule is: "Boil it, peel it, cook it or forget it. ", especially in high risk countries. If diarrhea persists more than 48 hours, you experience fever, blood in your stools or have abdominal pain, we recommend you to contact our doctor. Motion sickness — Travelers susceptible to motion sickness should consult a doctor about over-the-counter or prescription medications. Some natural remedies have been shown to reduce symptoms, too. Options include acupressure wristbands, ginger tea or dietary supplements. Care before travel — Travelers of all ages leaving the country can benefit from a pretravel medical appointment, ideally four to six weeks before departure. The doctor will perform a physical exam and assess the health risks associated with travel plans.In most cases, the patient's regular doctor can provide this care. Travelers with specific medical conditions who are heading to Asia, Africa or Latin America may benefit from an appointment at a travel medicine clinic. There, care providers often have advanced training or board certification in travel medicine or tropical medicine. While services at these clinics vary, many providers offer a comprehensive overview of health hazards associated with specific travel plans and detailed advice on how to stay well. Contact our doctor if you have any travel consultations. Jet lag — Older adults may have more severe jet lag and take longer to recover. Travelers can minimize jet lag by shifting to the local schedule as soon as possible. Travelers may be able to avoid jet lag by adjusting sleep schedules a few days before traveling. Airplane ear. Flying with a cold or an ear infection. The stress exerted on your eardrum and other middle ear tissues when there is a difference of pressure between your ear and the environment (e.g. when flying) may damage your ears. You may experience airplane ear at the beginning of a flight when the airplane is climbing or at the end of a flight when the airplane is descending. These fast changes in altitude cause air pressure changes and can trigger airplane ear. TOO YOUNG FOR HIGH CHOLESTEROL? "When researchers studied several groups of young adults and looked at the extent to which high cholesterol in early adulthood is linked to later development of heart disease, they found that high levels of LDL ("bad") cholesterol were 5.5 times as likely to have a buildup of calcium in their coronary arteries (an early indicator of heart disease) than those who had optimal levels. Most of the time, high cholesterol in young adults occurs for the same reasons it does in older people: obesity, lack of physical exercise and a diet that includes too much sugar and too many junk foods and fast foods. On the positive side, lifestyle and dietary changes can often help bring cholesterol levels under control. I suggest starting by eliminating processed foods, sugary drinks and quick digesting carbohydrates. That means avoiding manufactured food that contains trans fatty acids (TFAs), which increase total cholesterol, raise LDL and lower HDL ("good") cholesterol. The real cause of our high rates of cardiovascular disease could be sugar, rather than saturated fat. We whoudl not only be eating less foods that can increase cholesterol levels, we just also be increasing vegetables and olive oil to our daily diet. Losing weight may also help you lower your cholesterol – even modest weight loss can do the trick. Regular exercise is important; it can increase HDL ("good") cholesterol levels. If you smoke, quit. And since emotional stress may prompt the body to release fat into the bloodstream (raising cholesterol), we should also be addressin stress issues. Victoria Howe, MD. Andrew Weil, MD. Mark Pletcher et al, "Associations of retrospective and concurrent lipid levels with subclinical atherosclerosis prediction after 20 years of follow-up: the Coronary Artery Risk Development in Young Adults (CARDIA) study," Annals of Epidemiology, doi: 10.1016/j.annepidem.2013.06.003. FLU/INFLUENZA SEASON EUROPE 2018. Update. Influenza activity continued to increase in the temperate zone of the northern hemisphere while in the temperate zone of the southern hemisphere activity was at inter-seasonal levels. Worldwide, influenza A(H3N2) and B viruses accounted for the majority of influenza detections although influenza A(H1N1)pdm09 viruses were predominant in some countries. In Europe, influenza activity increased above baseline levels in most countries in Northern and Southwestern Europe with sharp increases in respiratory illness indicators in some countries. Activity remained low in countries in Eastern Europe. Influenza B virus detections remained frequent and the subtype of the influenza A viruses detected varied depending on the country and the surveillance system (outpatient or inpatient systems). Please contact our doctor if symptoms persist more than 2-3 days and you experience a high fever, wheezing, acute tiredness, intense headaches or difficulty breathing. In Western Asia, increasing influenza activity was reported in Israel and Jordan with predominantly influenza B and A(H1N1)pdm09 virus detections, respectively. In East Asia, influenza activity continued to increase in recent weeks. In both Northern and Southern China, ILI and influenza activity continued to increase, with influenza B Yamagata-lineage viruses predominantly detected followed by influenza A(H3N2) viruses. Increasing detections of influenza B and A(H3N2) viruses were reported in the Republic of Korea. In Southern Asia, increased influenza activity was reported in Iran with detection of all seasonal subtypes. In Northern Africa, influenza activity was predominantly due to influenza A(H1N1)pdm09 virus detections. Activity increased in Egypt and Morocco; and Tunisia reported sharp increases in activity. In Western Africa, influenza activity continued at lower levels compared to previous weeks. Detections of predominantly influenza A(H1N1)pdm09 viruses were reported from Burkina Faso, Côte d’Ivoire, Ghana and Togo. In Middle Africa, Cameroon reported activity with influenza A and B viruses and the Democratic Republic of Congo reported detections of influenza A(H1N1)pdm09 viruses. In Eastern Africa, sporadic influenza detections were reported in Madagascar, Mozambique, and the United Republic of Tanzania. In the Caribbean and Central American countries, low to no influenza activity was reported. In the tropical countries of South America, low to no influenza activity was reported.